I recieved my first call, DM4UIH, in 1966, when I was 15 years old. 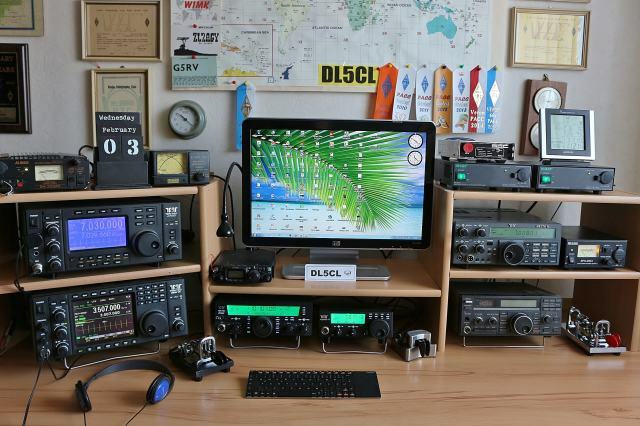 My main interest in ham radio is CW on HF bands. Learned the code in the age of 12. I like ragchewing, dxing and sometimes contesting too. In contests, I usually don´t go for scores, but I like operateing. I prefer proper QSOs. By the way, I´m an old-fashioned CW Operator, there is no link between my radio and my computer. All logging is left-handed at the keyboard use the morse key righthand if needed at the same time. CW with a key and copy by ears is skill and handiwork. 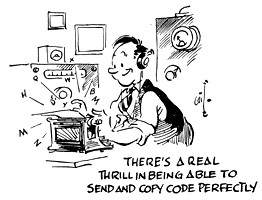 To use a computer for sending or copy CW is self-deluding. A mountain climber don´t use even a heliocopter to reach a summit. I have climbed up my personal "Summits" the DXCC Challenge 1500 and 5 Band DXCC as well sticker 160m, 30m, 17m and 12m. My favoured keys are semiautomatic by Vibroplex. A well trained fist with such a key sounds like music. My antenna is a very simple one, but I have worked the whole world anyway. Never used an amplifier, I operate my rig "barefoot" always as you can see on the photo above. Sometimes I do QRP with my Ten Tec Argonaut VI, often below ten watts output. Since 2014, I´m retired after 46 years in business. All I got to do now is enjoying life with my beloved wife Eva, eating, sleeping and ham radio. Here you can see how I spend my time when not on air.